Creates bendable texture with flexible hold. Shapes multiple styles—spike, twist, bend, separate or define. Highly concentrated, so a little goes a long way. Adds body and maximizes shine. with panthenol add texture and memory. 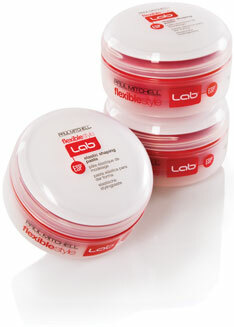 Bendable formula allows for easy restyling. or on dry hair for bold texture. Enhances texture and creates definition. to all hair lengths and hair types. Fine, flexible beeswax adds pliability. Creates bold texture and definition. Enhances texture with long-lasting memory. Controls frizz, adds shine and balances moisture. Adds fullness, texture and flexible hold. Thickens hair and adds fullness. Helps reduce static and flyaways. Panthenol thickens and builds body. Light mist pump spray allows for even application—a little goes a long way.